Summer time and the livin’ is easy! Do you hear a melody for those words in your head? It’s an old song, but a great one. 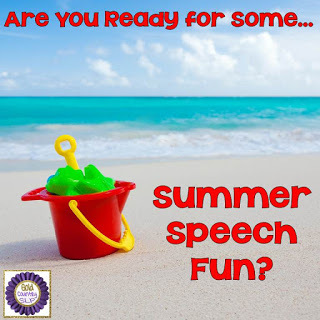 And here are some GREAT ideas for summer-themed speech & language products and activities. For those of us who work in the schools, a much-needed summer break is coming soon. However, many parents, teachers and other staff members express concerns at this time of year. What are those concerns? Most them have to do with kids forgetting or regressing in terms of the skills they have learned in speech this year. What can we do? We can send home homework. We can send home calendars with suggested activities they can do at home. Wait, some of us actually WORK in the summer! What about US? We need fun, summer-themed activities to do with kids, too. Below you will find a list of great products you can use or send home with your students. I have grouped them into categories by age/grade for you to make your shopping easier. A brief description and a link to the product is listed below each category. Summer Speech Homework Bundle Awesome Articulation Worksheets 2100 Words! (GoldCountrySLP): This black-ink only set has 2100 words. NO prep. I promise! 20 words per page for LOTS of practice. Appropriate for ages 4-10. Ocean of Words Awesome Articulation Worksheets (GoldCountrySLP): No prep! 20 words per page. Word lists for progress monitoring included. Summertime Apraxia (Twin Speech): Apraxia PreK-2nd grade. Summer-themed No Prep Artic Bundle (Twin Speech): PreK to 7th-artic. Flip-Flop Articulation Dot Art (Putting Words inYour Mouth): PreK-5th grade. Articulation practice and open-ended activity. Kids decorate flip flops in this fun set. Over in the Meadow Language & Literacy Book Companion (GoldCountrySLP): Grades PreK-2nd. This language and literacy based book companion accompanies a classic, Over in the Meadow, by Ezra Jack Keats. 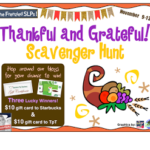 Activities include sequencing cards (2 levels), vocabulary word cards, irregular past tense verbs, regular past tense verbs, following directions (4 levels), association activities and MORE! 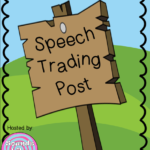 Mystery Pictures for Speech & Language – Summer (GoldCountrySLP): NO PREP! Grades 1st-6th. You will get MANY repetitions out of this one-pager! Great for therapy or homework. Print and Go Summer Camp (Speech Owl): Grades K-3. Addresses articulation as well as receptive and expressive language skills. Summer Complex Sentence Builder (GoldCountrySLP): Grades 2-12. Noun, verb, adjective and connector word cards as well as tasks cards. Following Complex Directions-Summer 500 (GoldCountrySLP): Grades 2-12. A total of 500 directions! Includes the following types of directions: temporal, conditional, directional, ordinal directions and those containing multiple modifiers. No prep – use your screen! Summer Figurative Language (SLPRunner): Upper grades. Regular Plurals: I Have Who Has (Ms. Gardenia’s Speech Room): I Have, Who Has for elementary grades. Autism Activities: File Folder Picture Sentence Building- Outside Bundle! (Looks Like Language): This bundle has fun file folder activities to keep kids communicating! Hope you have tons of fun in the sun! Great list, I am in the summer frame of mind- three weeks to go for me! I need to go check these out for sure. What a great list! School ends in June here, so some summery materials help on those hot days!